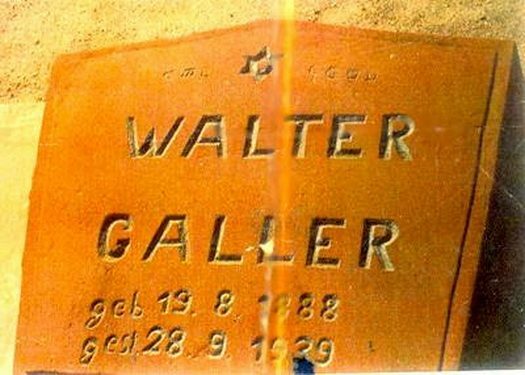 When you look at the tombstone of Walter Galler, you notice something striking: The Hebrew words “Kosher L’Pesach” (Kosher for Passover), inscribed, upside down, on the top of the stone. The photo of this unique headstone and the story behind it was shared with me by Rav Moshe Silberhaft of South Africa. Rav Moshe serves remote Jewish communities and restores neglected Jewish cemeteries throughout southern Africa. I got to know him and his remarkable work while I was a Chabad intern in Johannesburg in 1998-1999. Walter Galler, a Jewish man, died in August 1939 in Swakopmund, a coastal city in Namibia. His family did not know Hebrew, but knew that some sort of Hebrew inscription had to be placed on the stone. The only Hebrew they could find was the words “Kosher L’Pesach” on a box of matzah. The family ordered the stone cutter to inscribe the words, along with a Jewish star. The stone cutter, who also did not know Hebrew, nor whether the letters were right side up, ended up inscribing the words upside down. Walter’s story captures the essence of Passover as well as Judaism. Passover is not just the exodus of the geographical Egypt in the past. Passover celebrates our ability to break free of our own, personal Egypt, today. Mitzrayim, the Hebrew word for Egypt, also means limitations. Passover represents our freedom to break free of the obstacles and limitations that inhibit us. This holiday empowers us to “redeem” our souls to true freedom and divine expression. Each person’s “Egypt” is different. Some don’t know Hebrew. Some don’t even know if the words are right side up or upside down. Some don’t care. But whether it is ignorance, apathy or indifference, Passover also teaches us that, deep down, we all have a connection to our souls and our heritage. This is, in fact, how the Chassidic Masters, view “The Four Sons” mentioned in the Haggadah. 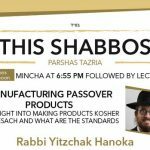 When the Haggadah mentions that the Torah speaks of four children, it lists, “One is wise, one is wicked, one is simple and one does not know how to ask.” The Chassidic Masters point out a fascinating perspective: The Haggadah is teaching us that each son has something in common: Each is connected to “one.” I.e. despite the vast differences of each child – one may be to the far ‘right’ and the other to the far ‘left’ – we each share the connection to the one G-d, one Torah and one nation. Passover empowers us to look beyond the qualities that divide us, and focus on the commonalities that unite us. Regardless of our level of observance or knowledge of Hebrew and Torah, we all share a soul that is pure and always connected. Passover teaches us not just to eat kosher-for-Passover, but how to live Kosher L’Pesach. When we do, we don’t only see things from our perspective, but from G-d’s. The Hebrew words “Kosher L’Pesach” on Walter’s tombstone is only upside down when we look at it from our perspective. But when we look at it from Heaven’s perspective, it is right side up! 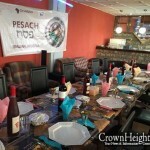 Happy Pesach from Rabbi Pesach!